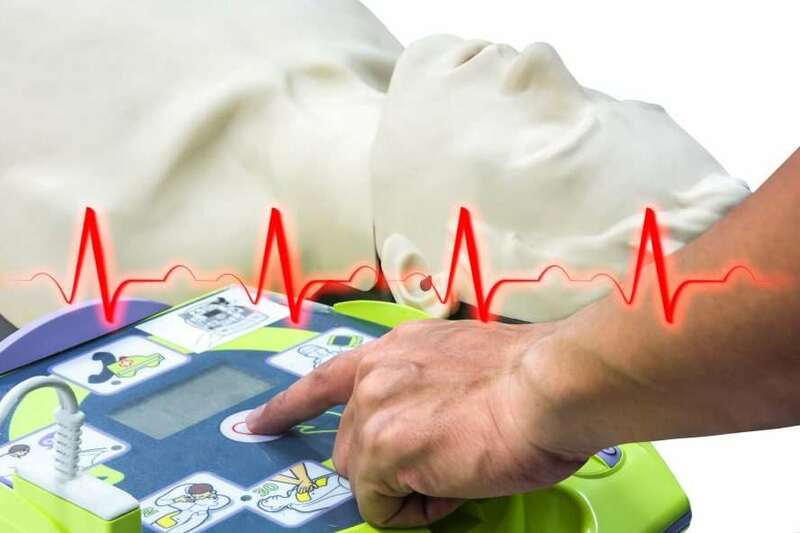 How to operate an AED without shocking self will save your life. The Automatic External Defibrillator (AED) is a life-saving device that can help reverse sudden cardiac arrest (SCA). You may see these AEDs hanging on the wall at the airport, museums, and in a designated building where schools and a large number of people do business. When should you use an AED? An AED should be used when you find a person who is not responding and seems not to have signs of breathing. You can tell if someone is breathing by watching the chest move up and down. During these circumstances, you will need to start CPR and have an AED brought over. Once you open the AED unit, the module usually will turn on and start telling the rescuer what they need to do. It will ask you to remove any clothing from the patient and apply the AED pads to the patient’s bare chest. Then it will say “clear for analyzing, ( this means that the AED is determining if the heart needs a shock or not). During this time you need to make sure no one is touching the victim. Then the AED will claim a shock advised. If this happens, you need to make sure the area is clear from anyone touching the patient. The reason is that anyone in contact with the patient will get shocked by the AED. We do not want you to be scared to use the AED, but this machine can electrocute those who are not paying attention. When the device advises that it will shock the victim, the operator needs to make sure no one is touching the patient. If someone does feel the patient at the same time a shock is delivered by the AED, that person may lose their bowel and bladder, and it could go through their heart into a fetal rhythm. The Automated External Defibrillator is best used for a heart in trouble and not suitable for a healthy working heart. The AED machines are a valuable lifesaving device, and The Beating Heart Center recommends that these modules placed in as many locations as possible. The easier it is to access one of these machines the higher the chance you can save a life from a Sudden Cardiac Event. We sell and train anyone on how these machines work so your family, staff and organization can safely use an AED. Contact The Beating Heart Center for any questions you may have on the Automated External Defibrillator.